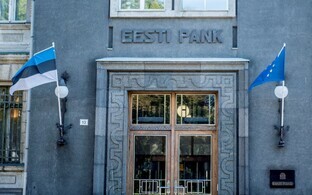 A mission of the International Monetary Fund (IMF) that visited Estonia to assess the country's economic health said that it considers Estonia's performance strong, supported by robust institutions and determined market-oriented reforms, whereas its recommendation for the country is to put off some of the expenditures planned for the coming years and give preference to investments boosting productivity. Specifically, the arrangements for appraising and selecting projects need to be strengthened to ensure that only the most productive investments are prioritized, the mission stated in its preliminary findings. The growth of the Estonian economy has recently surprised on the upside, but potential output is held back by slow productivity growth and a tight labor market, it added. A broadly neutral fiscal stance that protects productivity-enhancing investments would be appropriate. Ongoing structural reforms to promote innovation, enhance value added, and increase labor supply should be continued. The financial sector appears sound, with appropriate lending standards, but macro-financial developments need to be continuously monitored and policies updated as needed, it said. The strength and breadth of the recovery reflect years of sound fiscal policy, and a strong institutional framework. Real GDP growth reached 4.9 percent in 2017, bringing output above potential. Growth was broad-based, supported by a surge in private and public investment, the latter partly reflecting increased absorption of EU structural funds, favorable external conditions, accommodative financial conditions, and rising confidence. 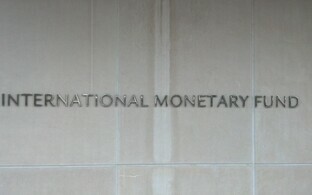 Inflation is rising and wage growth has accelerated, the IMF mission said. On the external side, risks appear broadly balanced. The recent growth pickup in the EA and main trading partners could prove more durable than expected and provide further support in the short term. On the downside, risks from the Nordic countries' real estate markets could impact the liquidity and funding of the Estonian financial sector, and more broadly Estonian exports, the preliminary findings say. International economic policy uncertainty is more of a concern than usual, reflecting potentially significant U.S. regulatory and policy shifts. Also, a perceived likelihood of more inward-looking policies in advanced economies could have adverse effects on Estonia's open economy, and trigger a correction in asset valuations and an increase in financial market volatility. On the domestic side, risks are mainly tilted to the downside. Employment growth could fall short of projections, especially if wage increases exceed productivity growth. This would have repercussions on external competitiveness, and corporate medium-term profitability and debt-servicing capacity. While there are no signs of a generalized credit boom and lending standards remain prudent, mortgage lending has increased and house prices in the key Tallinn market are buoyant, even though affordability indicators remain stable. This, as well as a rapid expansion of commercial real estate supply, is leaving the banking system more exposed to risks from the real estate sector. 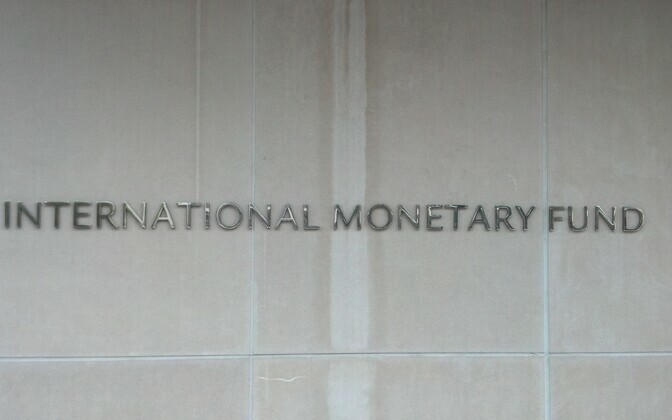 The IMF mission pointed out that the Estonian budget recorded a deficit of about 0.2 percent of GDP in 2017. Underlying this result was strong value-added tax, personal income tax, and social taxes. On the other hand, expenditures, in particular investment, were slightly higher than expected. For 2018, the mission projects that the budget will turn expansionary. With output above potential, the expansionary impact of the 2018 budget will reinforce existing pressures on the economy's capacity. Therefore, while spending to enhance productive potential and support structural reforms is worthwhile, low-priority capital spending could be deferred to ease pressures on the already-stretched construction sector, it said. In this regard, although public investment management processes are generally strong, arrangements for appraising and selecting projects need to be strengthened to ensure that only the most productive investments are prioritized. Current expenditure could also be rationalized wherever possible to streamline bureaucracy and accelerate savings from existing programs, and the recently piloted spending reviews could be advanced to identify potential efficiency gains. 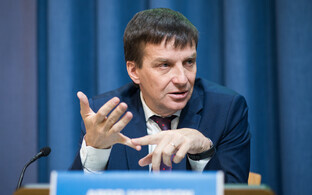 The IMF mission describes Estonia's tax system as relatively simple, and transparent. It commends the authorities on their cost-effective tax system and their overall approach of limiting exemptions. This approach has served Estonia well in the past. In adapting the framework of taxation to new challenges, including to reduce the tax burden for low-income earners, which incentivizes labor force participation and reduces inequality, these general principles should be maintained. At the same time, after a number of recent changes in taxation, policy volatility should be minimized and the effect of rates on revenue considered. Over the medium and longer term, the tax system needs to evolve in response to changes in the global economy. Consideration could be given to converting the land tax into a market value-based property tax in urban areas. 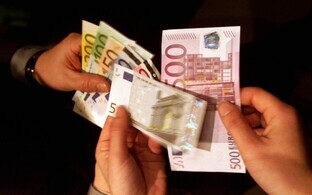 This would provide room to lower labor taxes further and offset potential future reductions in European Union transfers. Reforms to boost labor supply and improve productivity across the economy are progressing broadly as planned. Recent and ongoing labor market reforms, notably the Work Ability Reform and more flexible immigration policies, have helped labor supply, and local government and civil service reform are advancing. However, with labor force participation at historic highs and well above the European average, the room for further increases is shrinking. Beyond participation, skills shortages and mismatches remain. In this regard, current and planned efforts to strengthen the education system and align it with labor market needs are encouraging, but it will take time for their impact to be felt. Programs to boost firms' innovative capacity and value addition, and to support the building of economic clusters around key technologies, notably information communications technology (ICT), are commendable and should be broadened and accelerated where possible. Also, a more coordinated approach including international cooperation to support R&D spending by the private sector would help bolster innovation and productivity, including outside the ITC sector, according to the IMF. Wage growth needs to be anchored in productivity developments and efforts to boost the quantity and quality of labor need to continue. Efforts to encourage female labor force participation by reducing the gender pay gap, reforming parental leave entitlements, and expanding childcare facilities are welcome. Also, the recent personal income tax reform that addresses the high effective tax rate on lower paid workers should incentivize their labor force participation. With regard to skills, programs to improve vocational training and life-long learning, already underway, should be expanded as planned. 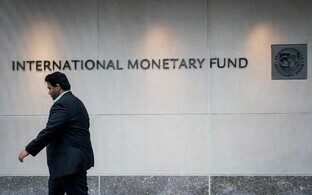 Lastly, while the short-term impact of extending the retirement age is small, it will raise the labor force in the longer term while also contributing to the sustainability of the pension system as the population shrinks, the IMF said. 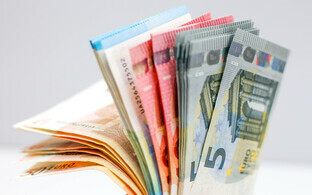 While financial soundness indicators (FSIs) are strong, macro-financial developments and the anti-money laundering measures taken should continue to be monitored. FSIs point to a healthy banking system, with appropriate levels of capitalization, liquidity, and returns. The loan-to-deposit ratio has improved in 2017 on the back of strong household and corporate deposits, and the level of nonperforming loans is low. A broad range of macroprudential instruments to rein in systemic financial risks has been put in place recently. It is too early to assess their effectiveness. However, in light of the current cyclical position, macroprudential policies need to be monitored carefully and early actions taken, if necessary. This would need to be accompanied by the strengthening of cross-border banking supervision through the Nordic-Baltic cooperation platform. Also, the Estonian authorities should continue to implement policies designed to prevent money laundering and terrorism financing. The IMF delegation was in Estonia for annual consultations under Article IV of the IMF's Articles of Agreement from March 6-19 to discuss the situation of the Estonian economy and planned economic policy steps with representatives of the state and the private sector.